When you’re buying a home, you can hire an agent who represents only you, called an exclusive buyer’s representative or agent. A buyer’s agent works in your best interest and owes you a fiduciary duty. You can pay your buyer’s agent yourself, or ask the seller, or the seller’s agent, to pay your agent a share of their sales commission.If you’re selling your home and hiring an agent to list it exclusively, you’ve hired a selling representative—an agent who owes fiduciary duties to you. Typically, you pay a selling agent a commission at closing. Selling agents usually offer or agree to pay a portion of their sales commission to the buyer’s agent. If your seller’s agent brings in a buyer, your agent keeps the entire commission. When you purchase a home, the agent you can opt to work with may not be your agent at all, but instead may be a subagent of the seller. 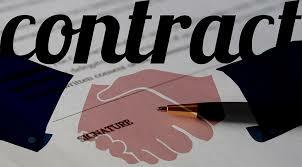 In general, a subagent represents and acts in the best interest of the sellers and sellers’ agent.If your agent is acting as a subagent, you can expect to be treated honestly, but the subagent owes loyalty to the sellers and their agent and can’t put your interests above those of the sellers. In a few states, agents aren’t permitted to act as subagents.Never tell a subagent anything you don’t want the sellers to know. Maybe you offered $150,000 for a home but are willing to go up to $160,000. That’s the type of information subagents would be required to pass on to their clients, the sellers. In many states, agents and companies can represent both parties in a home sale as long as that relationship is fully disclosed. It’s called disclosed dual agency. Because dual agents represent both parties, they can’t be protective of and loyal to only you. Dual agents don’t owe all the traditional fiduciary duties to clients. Instead, they owe limited fiduciary duties to each party.Why would you agree to dual agency? Suppose you want to buy a house that’s listed for sale by the same real estate brokerage where your buyer’s agent works. In that case, the real estate brokerage would be representing both you and the seller and you’d both have to agree to that.Because there’s a potential for conflicts of interest with dual agency, all parties must give their informed consent. In many states, that consent must be in writing. G.M. Filisko is an attorney and award-winning writer who zealously protected her clients’ interests as a lawyer. A frequent contributor to many national publications, including Bankrate.com, REALTOR® Magazine, and the American Bar Association Journal, she specializes in real estate, business, personal finance, and legal topics.TOPIC Buy & Sell, Sell, Should I Sell My House?